I’ve been using this provider since it came out, and I couldn’t love it more. I originally used it because my landline was local only, and that was my way around. Now, I use the Simonics gateway to attach it to my Asterisk system. If you need a couple lines as failovers or just don’t wanna pay way too much, this is the way to go. PS. Also great if you’re poor. That’s why I used it. Pros: Free phone number and texting. Cons: No direct SIP access without having to use a gateway. I love Google Voice and the ObiHai boxes and have set-up a number of configurations with this combinations for individuals and businesses. The back-end features are great. Having transcribed voicemail, the ability to text, and the call logs are perfect. The integration of an address book to provide callerID information. The inability to access multiple lines at once (not a real limitation with the inclusion of Obi into the mix)(due to the fact that it is a free service that I am sure has been abused many times by the scum of the earth) is an unfortunate limitation for serious business users. Pros: price, price, price, features. Pros: free, integrated with google's suite of services. Cons: occasional dropped calls via mobile, but hey - can't be worse than AT&T AMIRITE?. Free and very good sound quality. The servers sometimes go down resulting in an outage but the price negates the small inconvenience. Cons: Sporadic reliability but mostly a solid service. Google Voice is a telecommunications service offered through Google. It allows users to make free PC-to-Phone calling within North America, as well as PC-to-PC voice and video calling worldwide for users using Google Voice and Video Chat browser plugin, which is available for Windows, Intel-based Mac OSX, and Linux. In using this service, users can make outbound calls to bnoth domestic and International destinations via cell phone, web based app, or by first dialing their Google Voice number. 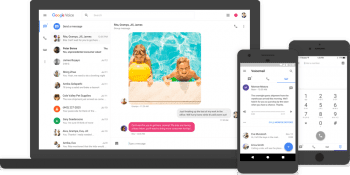 That being said, the Google Voice service offers extended mobility as it can be configured through both Android and/or iOS applications on mobile devices. 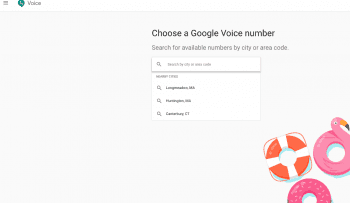 Formerly known as GrandCentral, Google Voice equips users with a US phone number (the user selects) from a available numbers in selected area codes. The web-based service is both configured and maintained by the user via application. The application is structured similarly to that of Gmail, Google’s premier e-mail service. In terms of included features, the service accounts for voicemail, text messaging, conference calling, call screening, call history, transcription services, and many more. 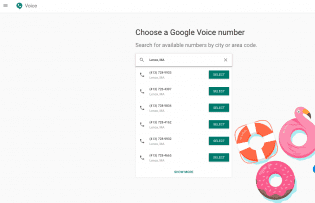 Users should note that emergency calling and customer support is not available via Google Voice; however, there are some support resources available, i.e. a Help Center, FAQs, and the Google Groups product forum. Calls are free in the US and Canada, prices are per minute and vary by country when calling elsewhere.